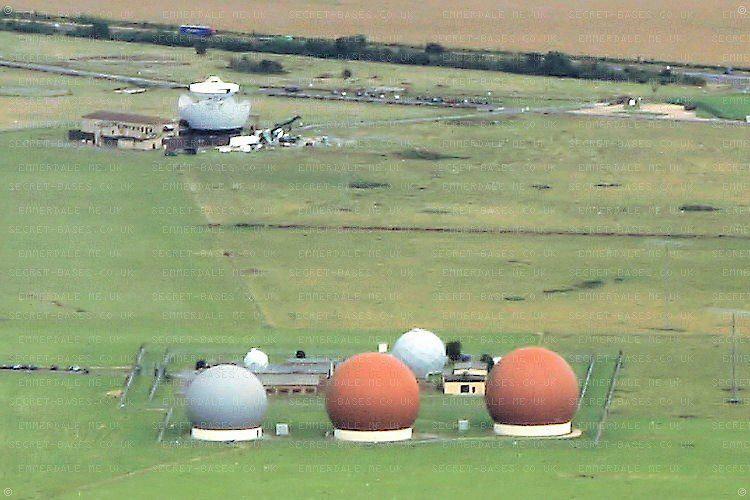 From Alan Turnbull, https://www.secret-bases.co.ukRAF Croughton near Brackley, Northamptonshire, UK, is the main US DoD communications hub for theatres of war. 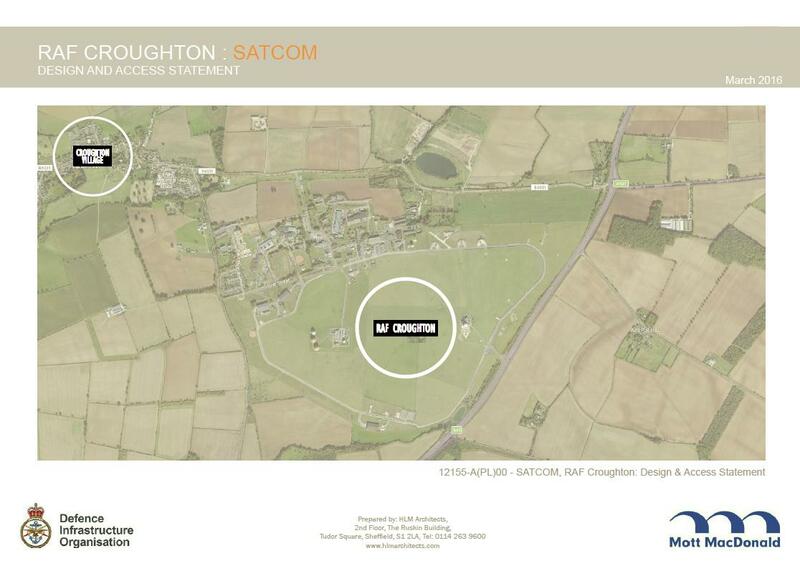 It is suggested that drone attacks have their command and control signals routed through Croughton’s data lines. It was also reported that Angela Merkel’s NSA phone tap was routed through here back to Washington DC. A massive expansion programme is underway to construct a new mission building “PL1” and a new antenna field comprising six new “golf ball” radomes. In the planning application during 2016, prime contractors Mott Macdonald and HLM Architects prepared a Design and Access Statement (attached). Unfortunately, it seems due diligence isn’t a strong point at either company. Someone thought it would be a good idea to lift from my website a copyrighted aerial pic supplied to me (and only me) by a specialist pilot/photographer. It is used without permission or credit in section 2.3 of the Design and Access Statement “Site Analysis”. It is watermarked and these watermarks show on the planning application PDF! Yes, that’s right, a US DoD / UK MoD critical infrastructure expansion – and its planning application includes an image stolen from Secret Bases! All parties are so far refusing to comment. I am still awaiting a response from the UK MoD and RAF Croughton. I have approached them through my usual official channels in Whitehall. HLM Architects Managing Director Karen Mosley has refused to reply to repeated emails and telephone calls. Steve Birnie, chief planner at Mott Macdonald, has so far not returned a voicemail left for him on his direct line. Presumably they cannot convincingly say they don’t know who I am and “why is he bothering us?”, when they actively stole an image from my website! Karen Mosley was shortlisted for Woman of the Year 2017 by Building Magazine. If everything was alright then she wouldn’t have lied. She lied in each and every stage, from her birth place to her real name. Yes, it is of Sonia Gandhi, the wife of former Prime Minister of India. She said that she was studying in the same university but no one enrolled there in the name of Sonia Gandhi or even in her real name. 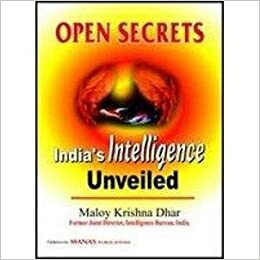 A retired Indian Police Service officer, Maloy Krishna Dhar, has revealed in his book “Open Secrets” certain facts that otherwise would have remained secret in the files of the Intelligence Bureau, which he served for 29 years. He says, “My painstaking research and intelligence penetration had succeeded in identifying four Union ministers (of Indira Gandhi’s Cabinet) and over two dozen MPs who were on the payrolls of KGB operatives. Some of them are still around. Maloy Krishna Dhar in his book spreads light on several lesser known facts and other public secrets. In the book he claims that Sonia Gandhi is a spy planted by either KGB or Pope. In 1985 Russian spy agency KGB’s deposit of US $2 billion (Rs 9400 Crores) in a Swiss bank account in 1985 in the “minor” account of Rahul Gandhi managed by his mother Sonia Gandhi as was reported years back in .Schweitzer Illustrierte, a Swiss news magazine was not for free. So, why the Russian secret service should pay this hefty amount to Sonia Gandhi who had married an Indian politician? If Sonia Gandhi had become the PM of India, everything about our national security, defense, scientific and technological progress by BARC, ISRO, DRDO, ICAR, ICMR, our trade policies will be an open book to Russia, Rome and even to the Muslim nations. The Italian mafia will take over Indian institutions and businesses. The consequences would have been dangerous. M.K Dhar had listed out several instances which may prove that she is either Russian agent or planted by Pope. During Nehru’s time, Indira Gandhi might have been on the payroll of KGB. Later as per U.S Congressional hearing records, Indira Gandhi’s family most likely Rajiv and Sonia, were on the payroll of the Pakistani Banker the late Agha Hassan Abedi, who founded the Bank known as Bank of Credit and Commerce International (BCCI). BCCI was a drug money laundering outfit finally owned by the ruler of Abu Dhabi, Sheikh Zyed. The mysterious death of former Prime Minister Lal Bahadur Shasthri raises finger on Russia. After the India-Pakistan War of 1965, Shastri met in Tashkent with President Ayub Khan of Pakistan and signed a “no-war” declaration. But he died on the next say. It seems like the evidences were purposely botched up. 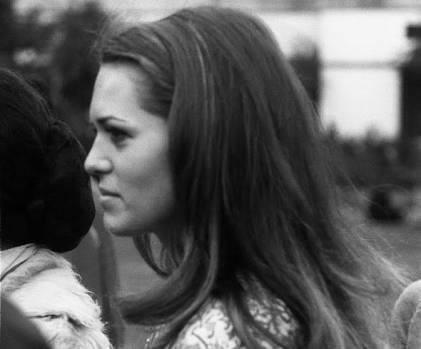 The death of Sanjay Gandhi too paved way for several suspicions. The KGB allegedly murdered Sanjay Gandhi so that Rajiv may be the next PM of India. Rajiv Gandhi was killed by the Sri Lankan terrorist group LTTE which is totally supported and financed by Christian organizations abroad. Rajiv Gandhi was blown up in Tamil Nadu on May 21, 1991 by a Roman Catholic female suicide bomber Dhanu, 24, whose real name was Kalaivathi. Once Rajiv was killed, the external spy agencies might have worked behind the scenes to promote Sonia Gandhi. Potential threats to Sonia’s leadership were one by one eliminated in excellently planned natural accidents which are a KGB specialty. Rajesh Pilot died in a road accident on Sunday, Jitendra Prasada died of brain hemorrhage on Sunday and Madhava Scindia was killed in a place crash on Sunday. Kamal Nath, another prominent young Congress leader narrowly escaped when a small plane he was travelling in crashed, killing some others on board. Catholics consider Sundays as the special day and all the threats of Sonia Gandhi were eliminated on Sunday. 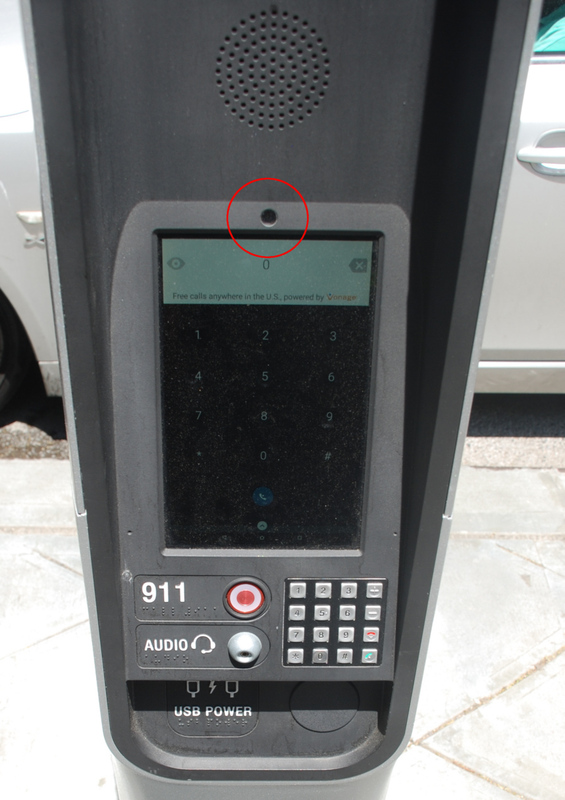 The kiosks have two high-definition video cameras recording viewers of digital displays and the surrounding area. A third aperture above the console appears to be a sensor of unknown purpose. 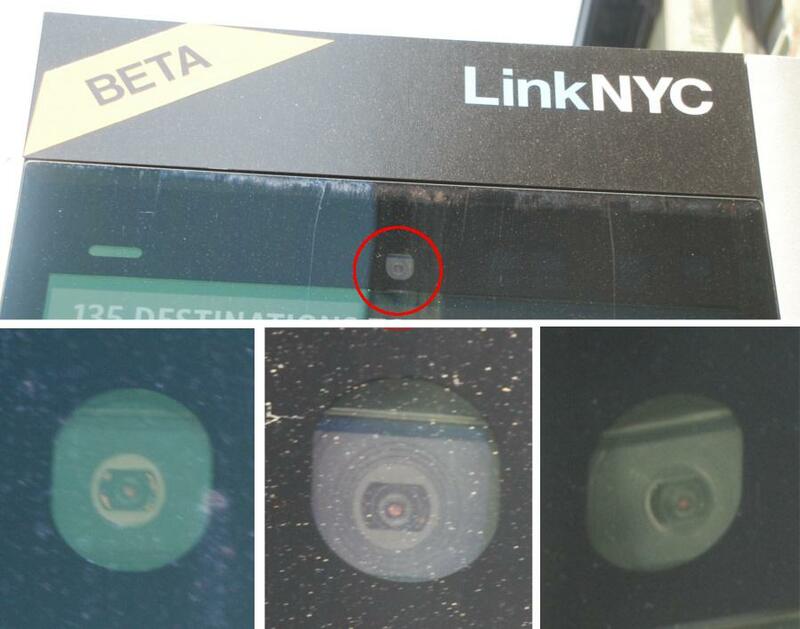 LinkNYC claims there are 30 sensors in the units which are undefined. 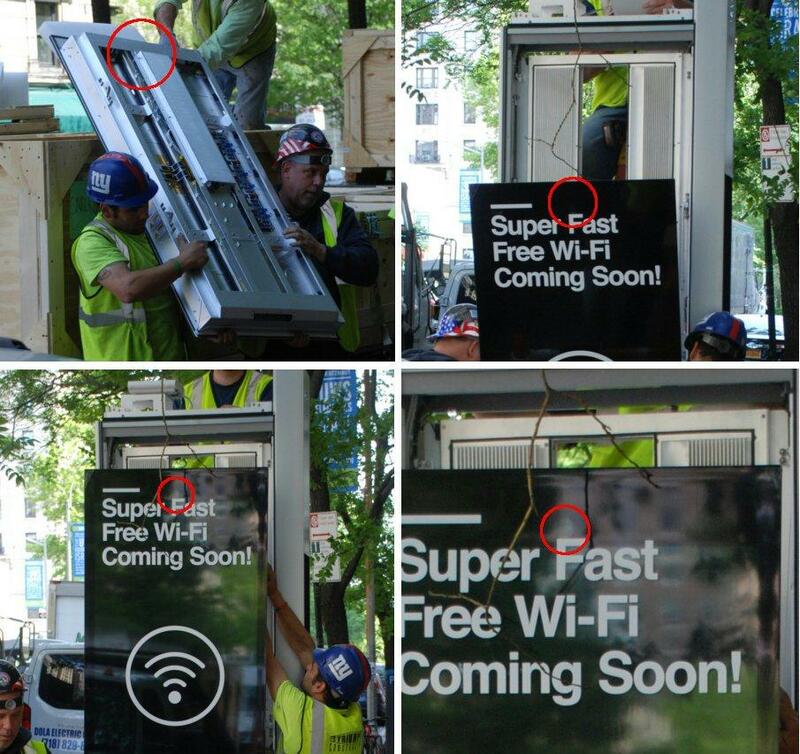 10,000 of the kiosks are to be installed in New York City over 5 years. Display assembly with camera-sensor circled being installed. Backside top left. West 90th Street and Broadway, New York, NY. 20 May 2016. 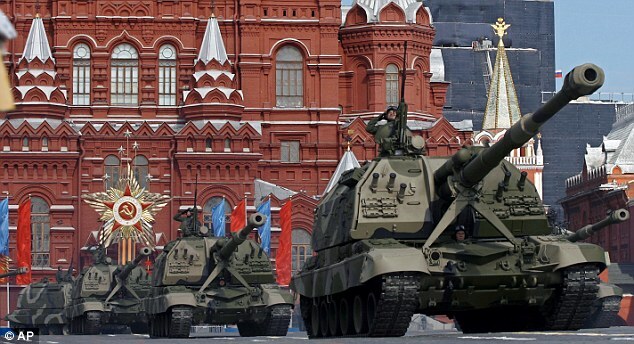 Russian leader Vladimir Putin is accused of forming secret ‘battle groups’ in western countries including Germany ready to activate at a moment’s notice. Putin expert and biographer Boris Reitschuster claims in his new book ‘Putin’s Hidden War’ that this army of sleepers is trained in the Russian ‘Systema’ techniques of martial arts and knife fighting as taught to his country’s special forces units. German author Reitschuster claims to have seen the reports of a western European intelligence service detailing the covert groups spread across the continent. ‘This means the Kremlin leader and ex-Intelligence Chief Putin has direct access to an elite fighter network in the West,’ said popular German daily newspaper BILD ahead of the book’s publication on Friday this week. 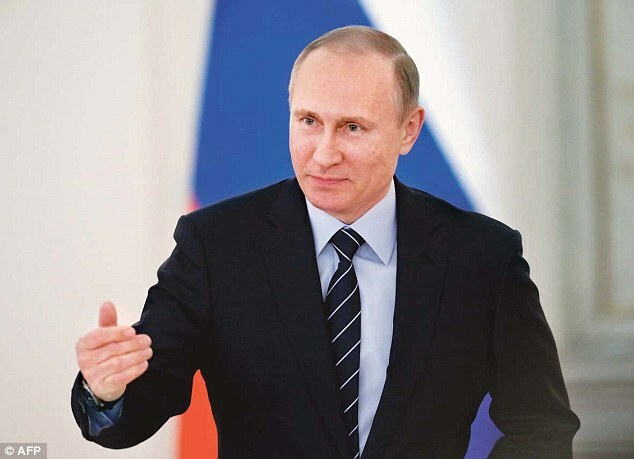 Earlier this year German intelligence agencies warned of Putin’s plan to destabilize the country through propaganda. In January the intelligence services said the Kremlin was behind a false report of a 13-year-old Russian girl called Lisa who claimed she was raped in Berlin. Later she admitted she made the story up – but not before ex-pat Russians had taken to the streets and even protested outside Chancellor Angela Merkel’s office. The author claims European intelligence services have identified about 300 men in the previous year Germany who are actively involved in the Systema structures. Among those who have received special training in Moscow are also soldiers, policemen, judicial employees and turncoat members of the German police and elite forces GSG 9 and KSK who are ‘known’ to the security services. ‘These saboteurs with elite education are no negligible factor – they are targeted for crisis situations and trained to trigger unrest after assessing intelligence documents,’ he added. Reitschuster says the recruits, who can be activated at a moment’s notice, all receive Russian passports and receive training in sabotage and handling explosives.